Food is not an experience that is easily translated to a website. How do you sell a product, like bread, that is so tactile when you miss things like taste and smell? 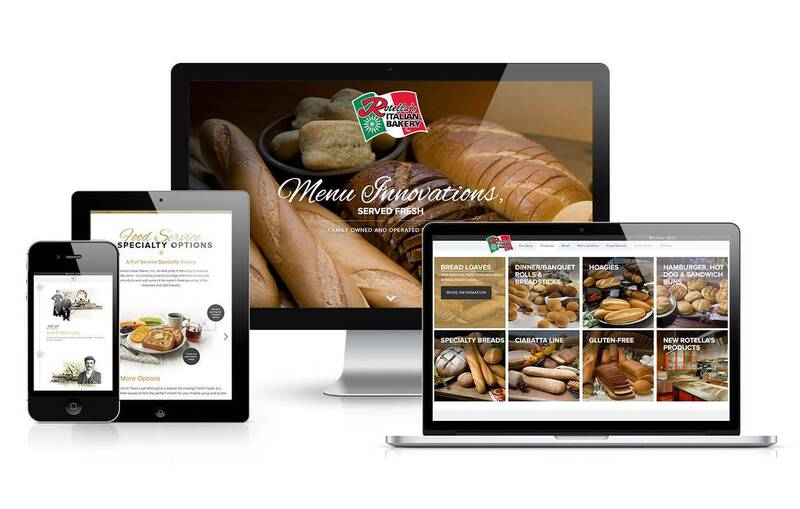 That was the challenge we had as we approach a new website design for Rotella’s Italian Bakery, one of the largest specialty bakeries in the country. Bread is what they do – they make over 400 varieties that span restaurants, wholesale distribution and retail products – and they’ve being doing it for over 5 generations. Our challenge was to showcase their wide varieties of products to a number of different buyers, and to tell their compelling company history at the same time – all without the taste and smell that buyers love. Our solution? Showcase beautiful photography of Rotella’s products. Upon going to the website, visitors are immediately greeted with mouthwatering images of the many different types of bread Rotella’s produces. Thank you for visiting. We look forward to hearing from you.